The project KIDS Barcelona is part of the global project “Kids and Families Impacting Disease Through Science (KIDS)” within the International Children’s Advisory Network (Ican). 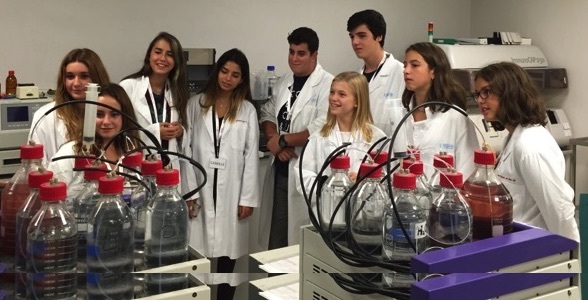 The project consists of a group of children and teenagers who act as a Scientific Council in our hospital. They are involved in the processes of comprehension, communication and improvement of the medical innovation’s methods that impact children and teenagers, ensuring, in this way, the voice of the children and their families within the medicine, research and innovation. The trainers were the professionals and partners of the Hospital San Joan de Déu - Dr. Clàudia Fortuny, Dr. Jaume More, Dr. Jordi Antón, Dr. Jaume Pérez-Payarols, Mrs. Joana Claverol, Dr. Josep Alcaraz and Mrs. Begonya Nafría – , who were able to share their experience and expertise with everyone. To teach and defend medicine, research and innovation that improves children’s health and treatment, by placing young people in the center of our field of work. To promote a consulting process in the hospital, by including teenagers’ voice and opinion in all the research projects that impacts them. To involve teenagers in the detection of unfulfilled pediatric needs. To plan and perform, from the pediatric perspective, all the processes that take action in the development of a clinical trial (e.g. assent document). KIDS groups are also entitled as Young Persons’ Advisory Groups (YPAG) and are acknowledged internationally by the regulators as well as by the pharmaceutical industry, recognized as a youth group trained and empowered by a research centre.